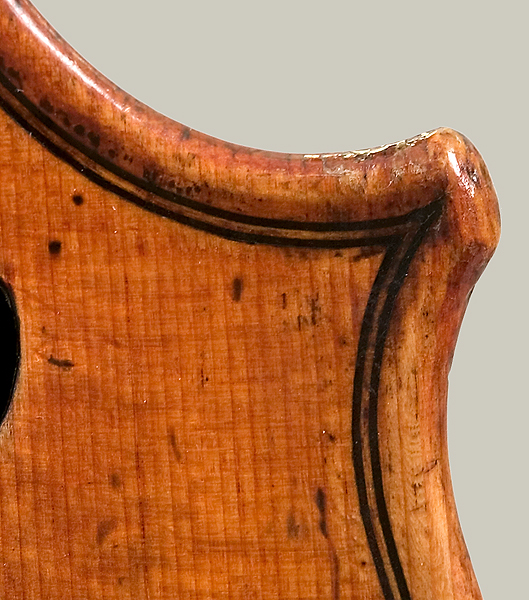 NMM 3598. 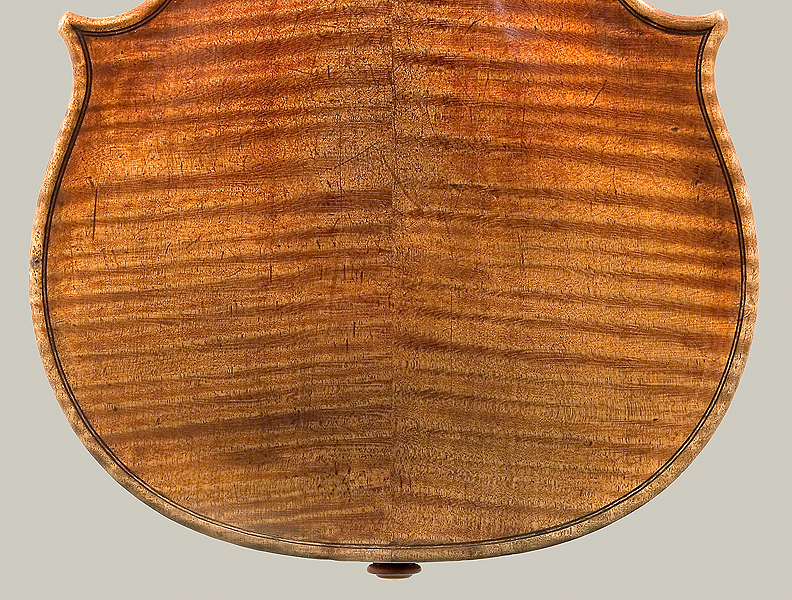 Violin, The Harrison, by Antonio Stradivari, Cremona, 1693. 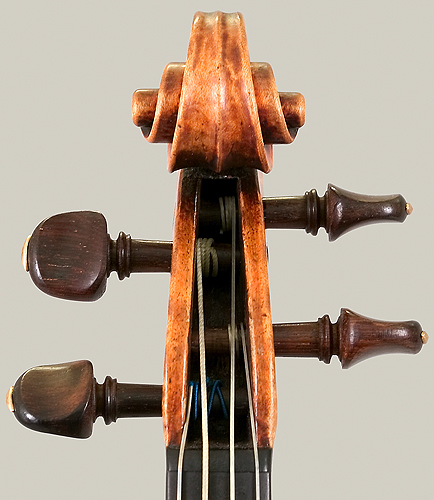 Ex colls. 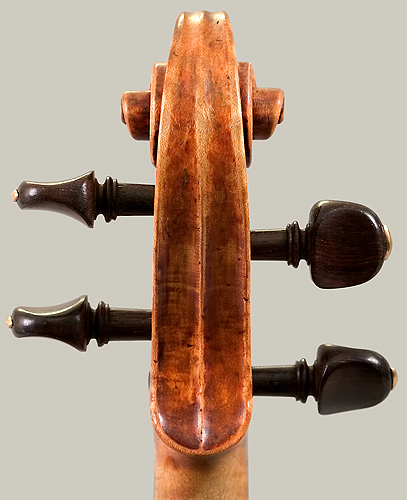 : Richard Harrison, London; Henry Hottinger, New York; Kyung-Wha Chung, London. 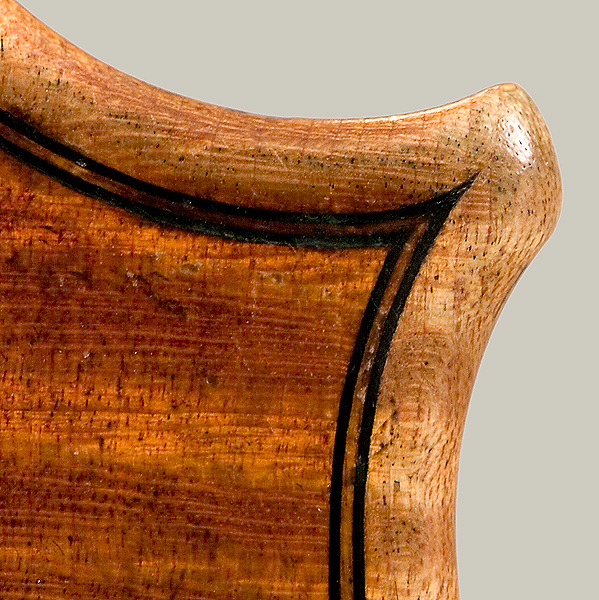 Rawlins Fund, 1984. 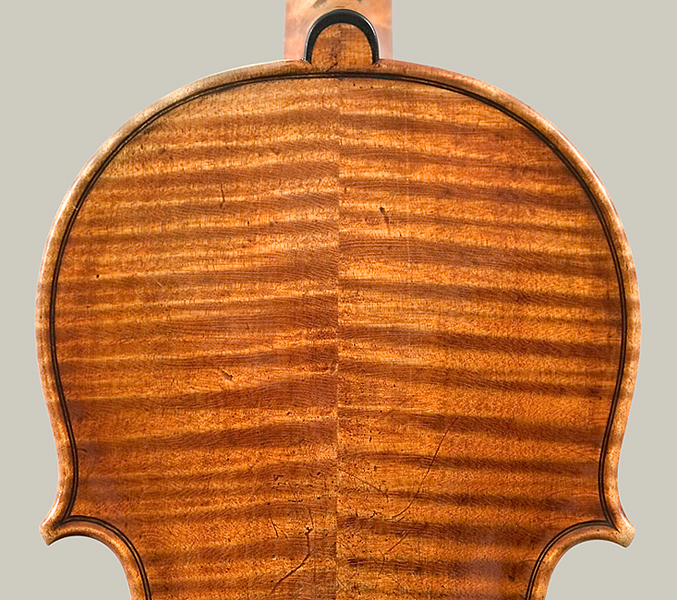 Called the greatest concert violin built before 1700, it is one of but half a dozen Strads to survive with its original neck. 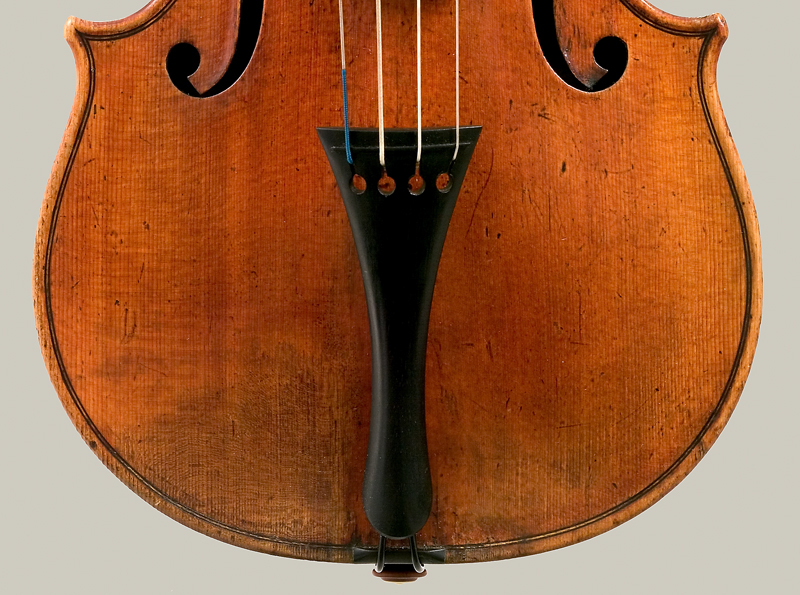 "Modernized" probably early in the 19th century, when Italian instruments became the preferred standard, as performing venues got larger. 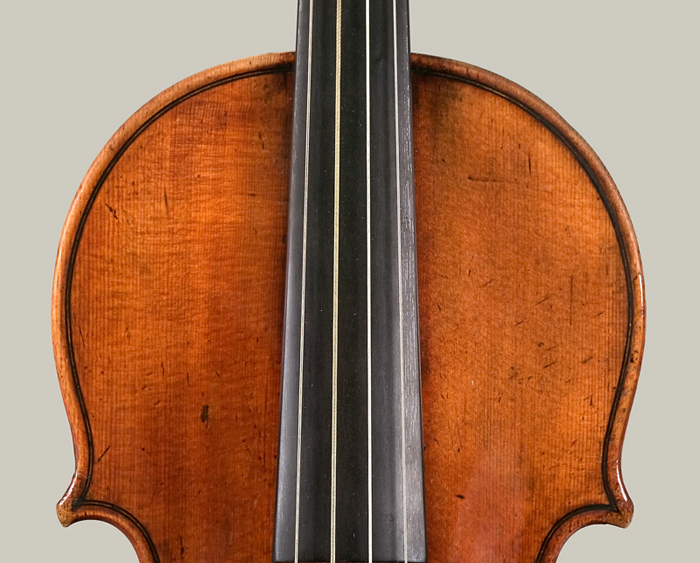 Nicknamed The Harrison after Richard Harrison, an English solicitor and amateur musician who owned the instrument in the 19th-century; he, like many of his colleagues, played string quartets in his home on Sunday afternoons. The instrument can be heard on modern recordings by Kyung-Wha Chung, the great Korean violinist. 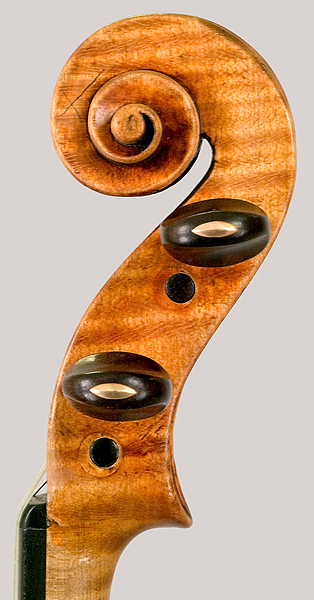 What does The Harrison violin sound like? 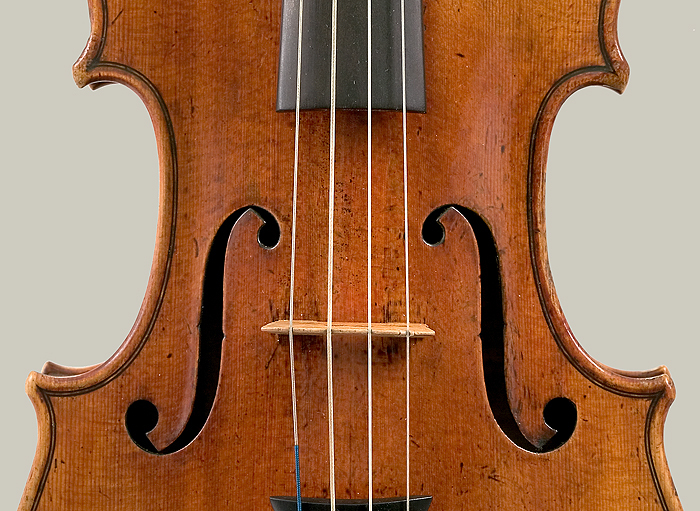 Listen to musical excerpts from a live performance by Eugene Fodor in Vermillion, April 6, 2002. Shown in color as the frontispiece of the standard biography, Antonio Stradivari: His Life and Work (1644-1737), published in 1902 by William E. Hill & Sons of London, it was one of 44 instruments chosen to be shown at the international exhibition held in Cremona in 1987 to mark the 250th anniversary of Stradivari's death. 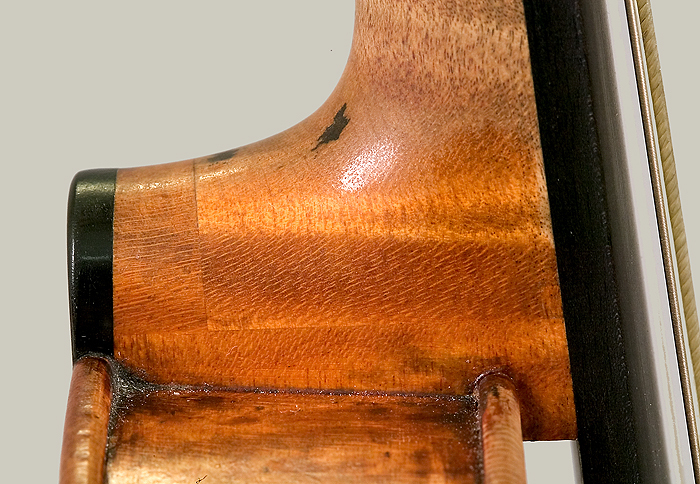 Note: Click on images or text above to see larger images of the neck heel area. 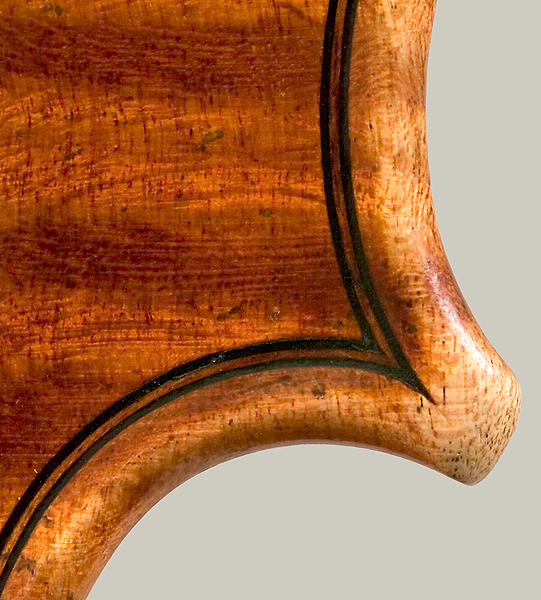 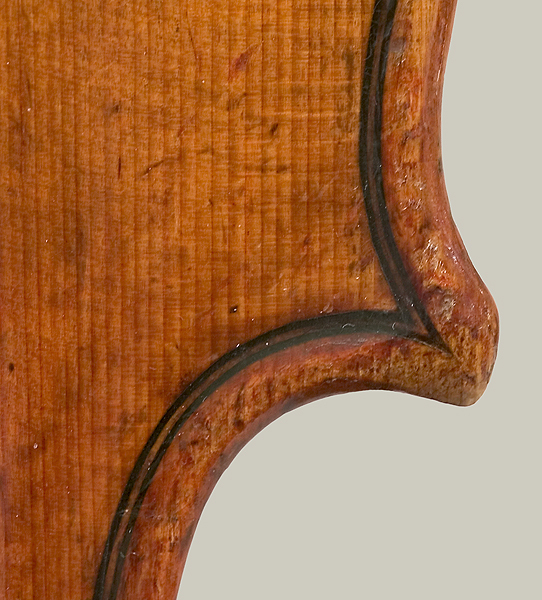 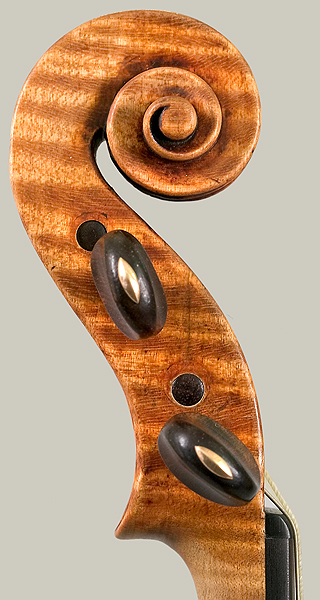 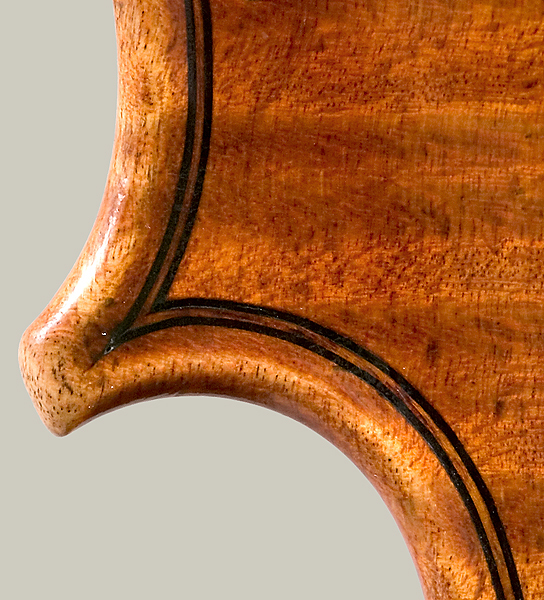 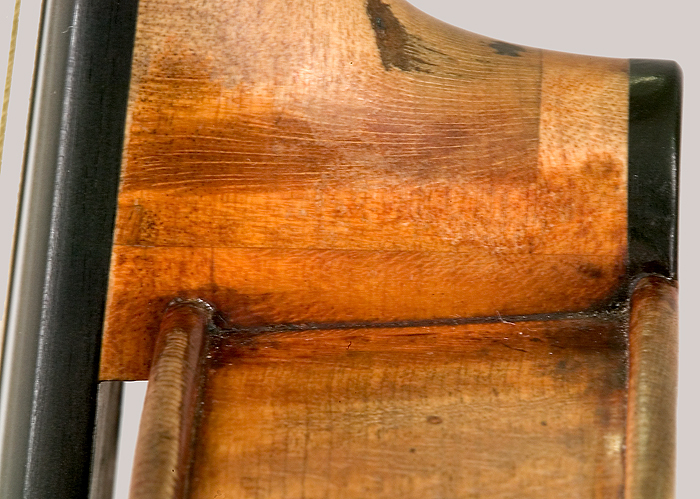 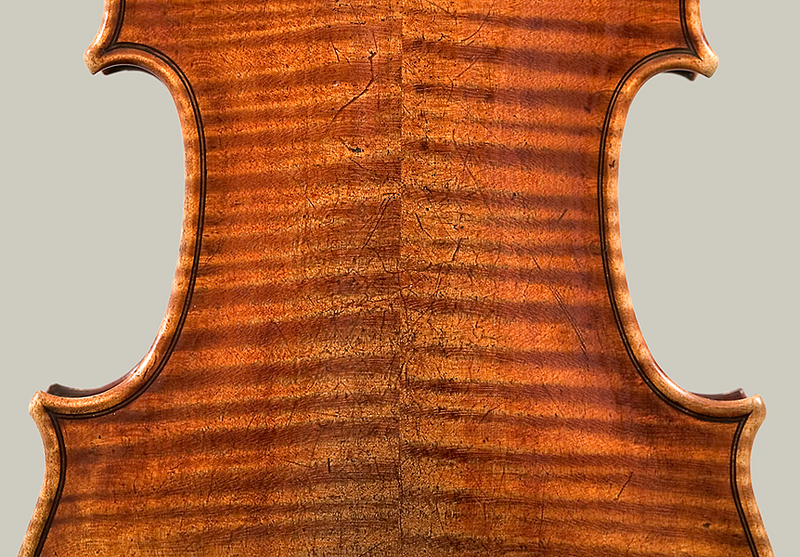 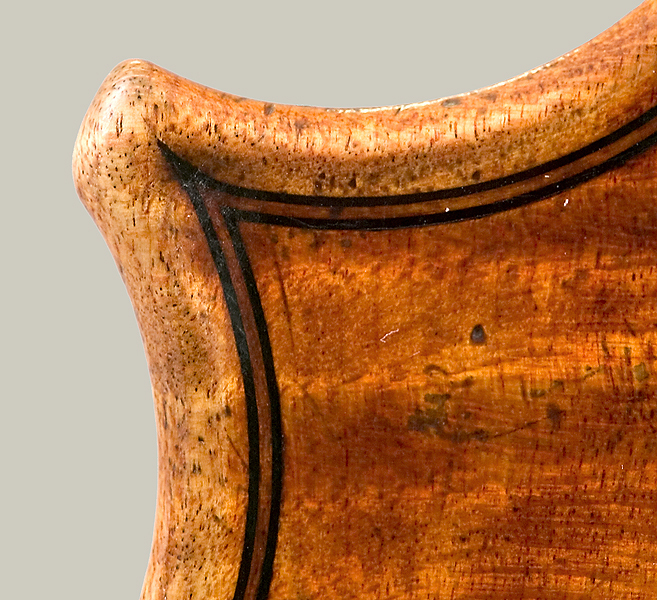 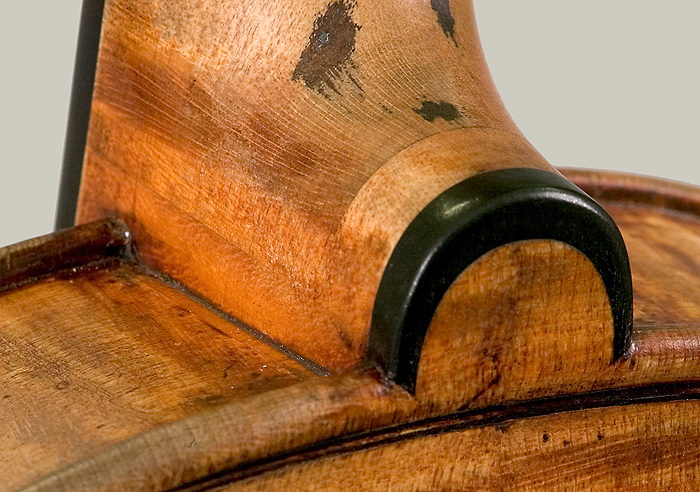 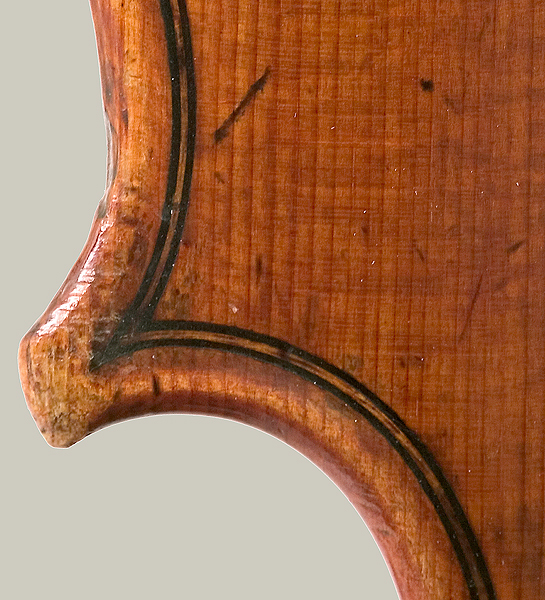 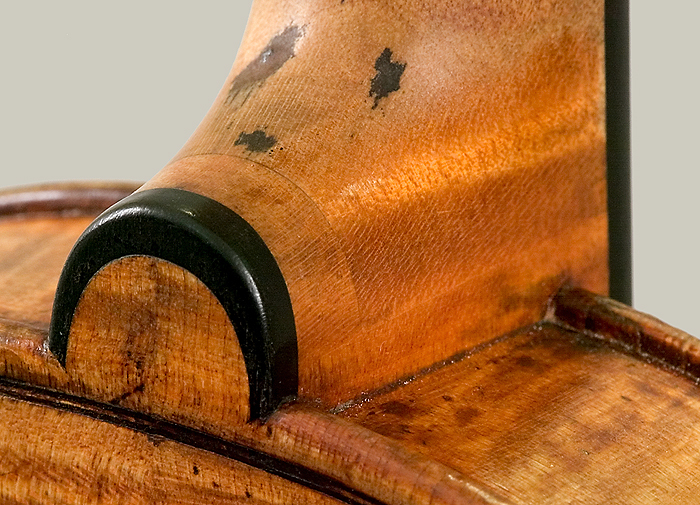 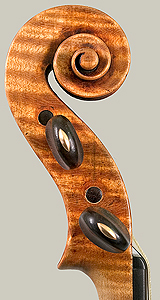 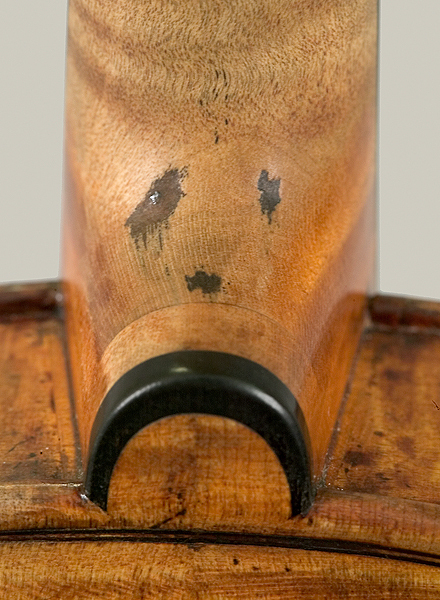 The Harrison is one of only a handful of Stradivari violins that survive with its original neck, blocked out at the base of the neck, with oxidation showing from the three original nails, as can be seen the photos above. 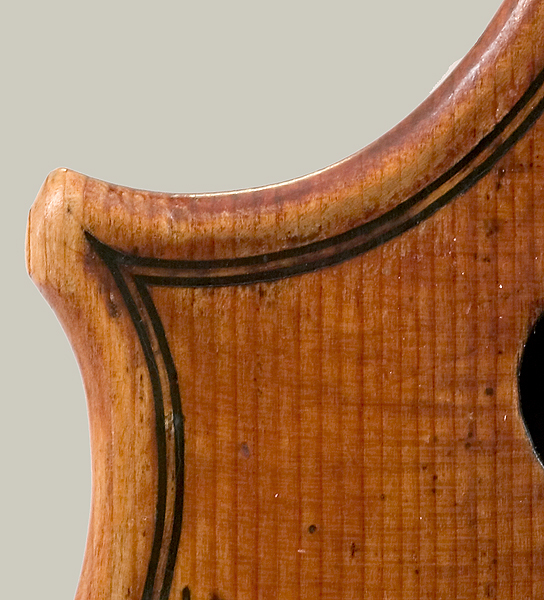 If you think you have a Stradivari violin, please read this information before contacting the NMM.